I have Melissa of I Swim for Oceans to thank for introducing me to this outstanding series. 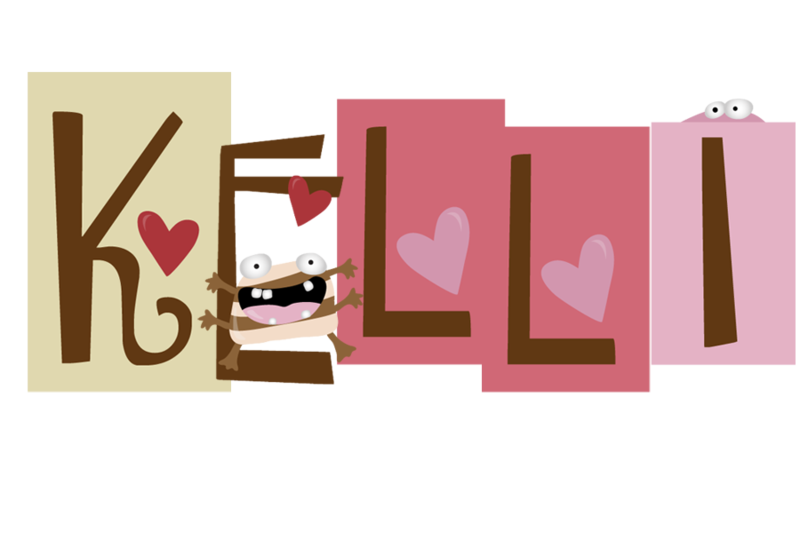 Thank you, Melissa! After reading the summary for What's Left of Me, I knew I had to read this series. It reminded me of Stephenie Meyer's The Host, one of my all-time favorite books, and after being so disappointed in The Host movie, I was itching for a good story similar to The Host. I was actually considering re-reading The Host, but when I read about The Hybrid Chronicles on Melissa's blog, I decided to read this series instead. And I'm so glad I did---these two books are outstanding! I was drawn in to the story from the very first page. I immediately liked Addie and Eva, especially Eva. I thought the premise of two souls in one body was so well-executed. It's not the same as in Meyer's world, where aliens are overtaking humans. Instead, everyone is born with two souls, and the dominant soul takes over, usually by age four to to five but almost always by age 12. The recessive soul simply fades away into oblivion. But sometimes, the recessive soul does not fade away, and people are left with two souls in one body. These people are called hybrids and they are outlawed and reviled in America. America was founded on the basis of being a haven for the single-souled, and the government seeks to eliminate all hybrids, either by imprisoning them in institutions or subjecting them to inhumane experiments to kill their second soul. Addie is one such hybrid, with Eva trapped inside of her. Addie keeps the secret from everyone, even her parents. No one knows that Eva did not fade away, that she's still there. Addie meets a friend at school who is also a hybrid, and they start to work on letting Eva take control of their body and let Eva speak. Because for the last three years, Eva has been trapped and can only speak to Addie in their mind. This sounds really "out there" but I promise the story reads so well and this all feels really natural in Zhang's world. I loved the idea of one body with two souls, essentially two minds. It was just so intriguing. 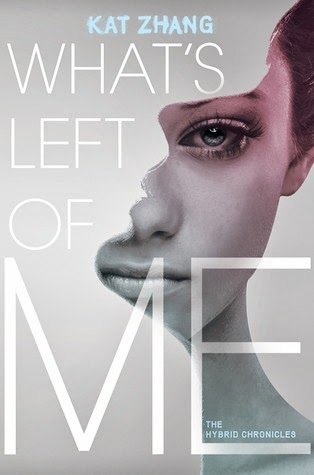 The first book, What's Left of Me, focuses on the struggle of Eva and Addie sharing one body. They end up in a "hospital" and are terrified that Eva will be surgically removed from Addie's body. Their struggle to escape is the conflict for book one. 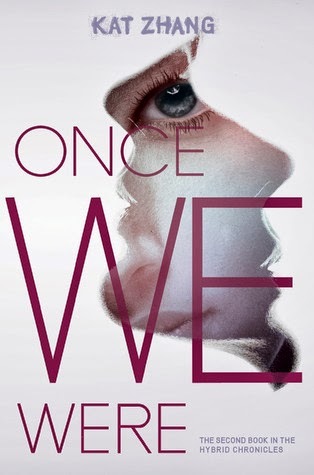 Book two, Once We Were was quite different. The girls are evolving; Eva can now take over their body and speak and move for herself. Things get quite interesting when both Eva and Addie fall in love with two different people. It's sort of a love quadrangle, except neither girl has feelings for the other's paramour. Both books were great reads, and I really can't pick a favorite between the two. Each book was different, but so so good. I can't wait for book three, due out next year. Try this series---you won't be disappointed!